The body has already been conveyed down to Atan Cemetery for burial arrangement. Kudos to all Nigerian Students and Comrades. We really appreciate the interference of Yabatech Management. Nigerian bloggers and broadcasters, well done o. 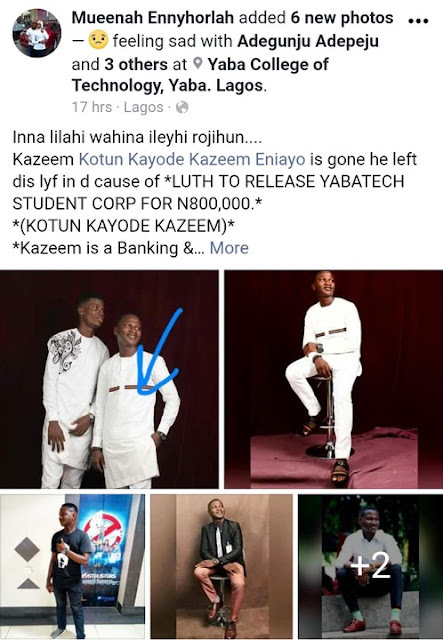 Our gratitude to LUTH management for releasing its body (Kotun Kayode Kazeem) free of charge. Injury to one is injury to all.We pray may Almighty God grant him paradise. We love him but God loves him more.